Happy, happy Friday! And it's an especially exciting Friday - I'm in the happiest place on earth with some of my favorite people. Not in Disney here (although the outlet mall is a close second) - but these are the people. Which brings me to the point of today's post. Last week I shared my blogistential crisis, which seems to come around every six months or so. I really appreciated the comments and feedback. It's nice to know that somebody is out there! I started this blog almost five years ago as I was entering a strange time in my life. The empty nest was coming into view, and I was starting to wonder what was next for me. My marriage was solid, our business was doing well, the boys were self sufficient, but things felt unsettled. Writing about it seemed like a good idea, since I've always turned to pen and paper to figure things out. Sharing it with the rest of the world was a new concept, but blogging looked like fun and I'm always up for something fun. Pushing publish on that first post was one of the best decisions I've ever made. I can't imagine how differently my life would look today without this little corner of the internet called My New Happy. Because of this blog, I've made friends. And not just casual friends, but women that I know will be in my life for the long haul. They're amazing and kind and thoughtful and I never would have known they existed without blogging. 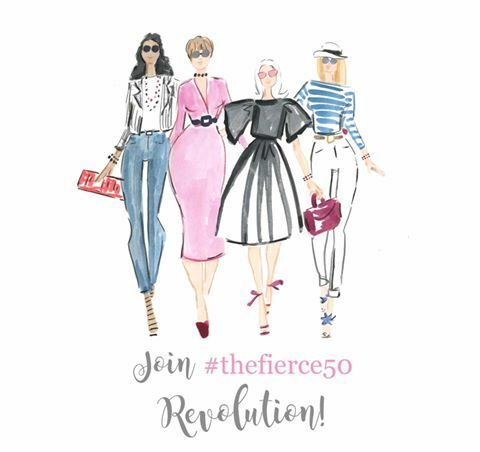 Because of this blog, I found the Forever Fierce Revolution. 5,000 women just like me, trying to figure out midlife and all the crazy stuff that goes along with it. They're supportive and completely understand where I'm coming from, even if I don't understand it myself. Because of this blog, I was given the opportunity to edit the newsletter for Forever Fierce. I have no idea what I'm doing, but I've been willing to jump in with both feet and learn and grow. Blogging gave me that confidence and the belief that I am more than a wife and mother - I am a writer, and I have something valuable to offer the world. 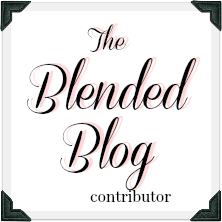 Because of this blog, I'm part of a collective called The Blended Blog. Women of different ages and stages, sharing our voices. 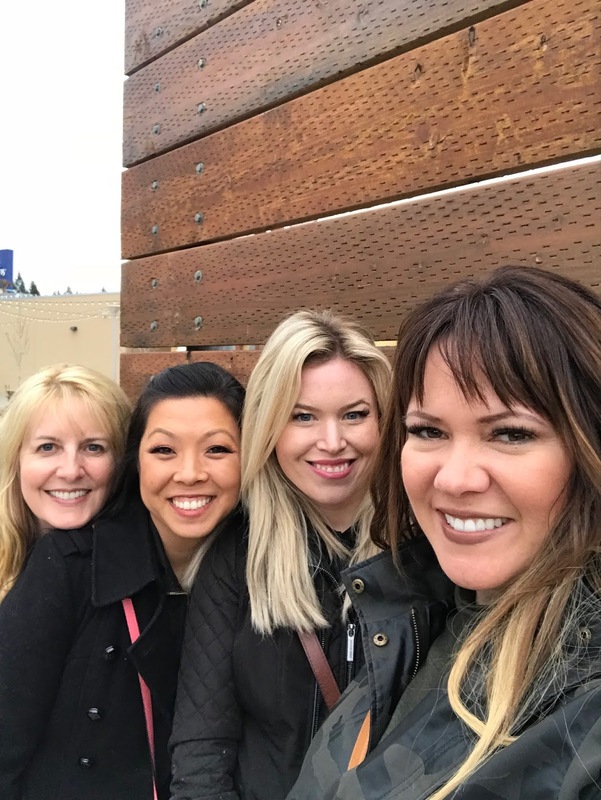 I love the energy of those women, and I'm excited to be a part of something so collaborative. Would my life be happy and wonderful and fulfilling without this blog? Of course. But because of this blog, it's MORE happy and MORE wonderful and MORE fulfilling. Blogistential crisis officially over. Because of this blog. Exactly!!! I think I have these meltdowns every once in a while too. But there are SO many wonderful relationships that come out of our little space on the web. I mean meeting you----I didn't even tell you that I had a dream with you in it the other night. So obviously you've been on my mind...haha. And the newsletter? It's amazing...maybe that's your superpower?? Isn't it funny how on online community can really bring people together? It seems like it would be just the opposite. That's one of the reasons I decided to get back into blogging. If you are at Disney World, my daughter just started an internship at Magic Kingdom. She's working one of the stands that sells food in Tomorrowland OR something about the Cheshire Cat(?). Stop and say "hello!" Haha, I know that's impossible, but I'm a proud Mommy! I love this! You all look so happy and beautiful! Blogging presents many unexpected gifts, doesn't it? Have a blast! And because of your blog, I got to meet you, Sweet Lana! Happy weekend!